Off the field MLB All-Star Robinson Cano is focused on expanding his personal brand, and establishing his foundation RC22–which creates more educational opportunities in the Dominican Republic, where Robinson is from. We had the opportunity for brief Q&A with Robinson, where he discussed his current partnership with grooming brand HUE For Every Man. Robinson shows excitement about the collaboration with HUE, and understands the importance of men having quality grooming products specially catered to their needs. HUE For Every Man offers a selection of men’s premium grooming products. HUE is formulated to be the solution for an evolving and undeserved multicultural market. HUE’s 21st Century approach to men’s grooming fused with natural ingredients allows their products to work for EVERY man regardless of hair and skin type. Enjoy our Q&A with Robinson below as he elaborates on his partnership with HUE, shares grooming tips, and more. 1) Can you explain to us why you elected to partner with the HUE For Every Man? 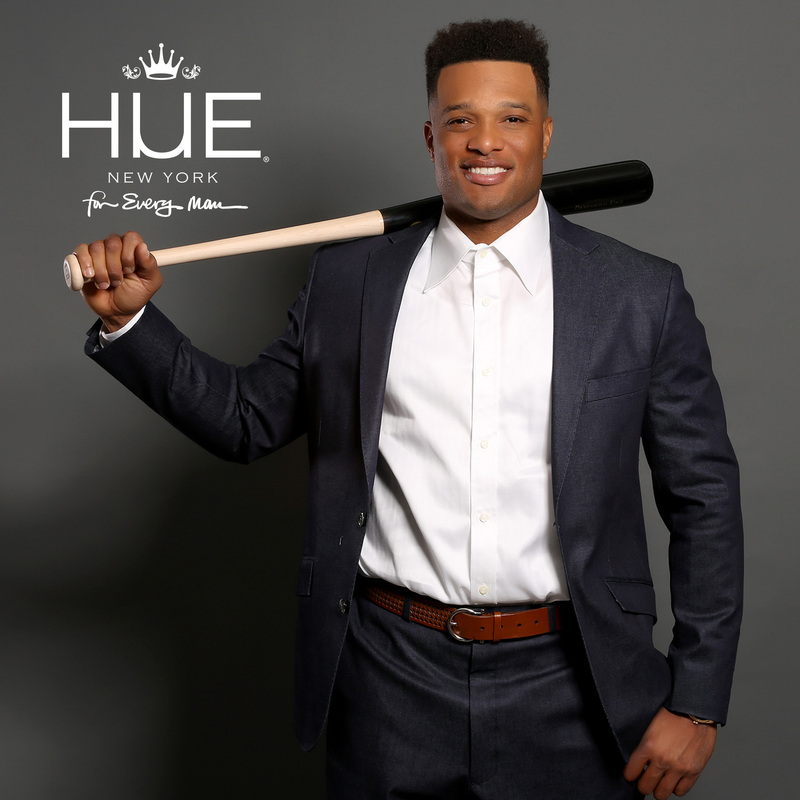 HUE For Every Man has been a dynamic and innovative brand partner for me to align with. They have allowed me the opportunity to pursue my business interests and be hands on with the products we are developing for market. After meeting with their executive team, I knew I had a partner who understood my passions both on and off the field. HUE also helps me develop my business savvy nature with the launch of my own co-branded line. Ultimately, we had the same goals. To deliver quality grooming products to men of color looking to keep up appearances. I use HUE products in my day to day routine and I knew my peers would be interested in hearing about all the benefits afforded to me by using such a high performance and targeted product. 2) How important do you think it is for men to invest in grooming products? It’s no secret that men today care more about their physical appearance. So why not invest in your physical self with a product specially crafted to your specific needs? Everyone knows how important first impressions can be. And your physical appearance plays a huge role in that initial encounter. The only way to put your best foot forward is to ensure that you look as confident as you feel. After adding HUE products to my daily routine, I finally feel I have found a brand that I can rely on. 3) If you can recommend one HUE product to your teammates, which would it be? And why? I would have to recommend the Shave Therapy ($28.) For us men that are constantly on the go and showering in the locker room, a quick and efficient grooming process is always key. I know how important it is to hit the post-game press conference looking your best. The Shave Therapy ensures great results after a quick shave. I am going to be sure to equip all my teammates’ lockers with their own personal supply. 4) What is your biggest passion off the field? My biggest passion off the field is my charity the RC22 Foundation and more specifically our signature project of building RC22 DREAM Schools in the Dominican Republic. In November 2015, we unveiled the first of 22 planned schools in my hometown of San Pedro de Macoris. The school provides 100 impoverished youth with a free Montessori-based education in partnership with the Dominican Republic Education and Mentoring Project. It’s always been my dream to provide children in my country with better opportunities than I had growing up. And we are finally able to do that one school at a time. I’m very much looking forward to the day we can open the doors to the next one. 5) Your #1 goal for this MLB season is…? My goal for this MLB season is to help my team make it into the post season. 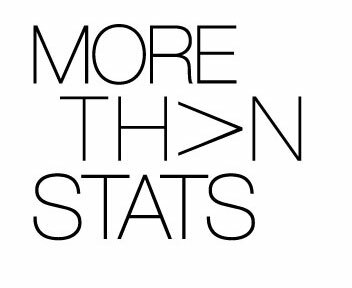 I think we have all the right tools to achieve this goal. I have my sights set on staying healthy and giving each game all I got. And I’ll be sure to keep my teammates fresh and clean after each game with their own HUE products! 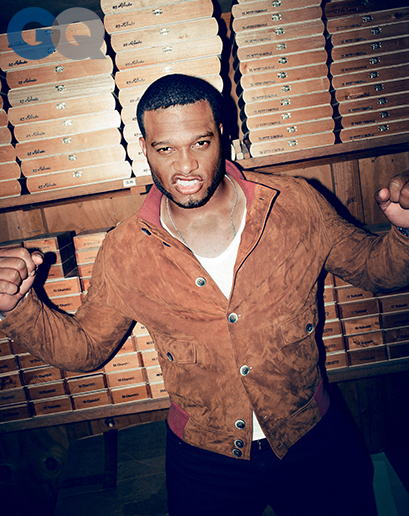 Custom White Button-Up Dress Shirt with Monogram Initial Designer: Zohreh NYC- Sean Vokshoor for Robinson Cano.